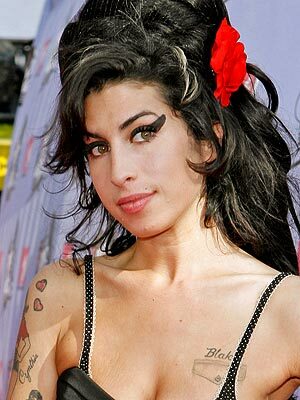 I may be a country music fan at heart, but I’m still deeply saddened by the death of Amy Winehouse. I recognize quality music when I here it, and Back To Black was as solid any album as any to see release in 2006. I was first exposed to her music in August of 2007 when my Godmother played me her song “Rehab,” while on a visit to her house. Being naive, I thought the song was a declaration of her not traveling down the path into destruction. Obviously, I was dead wrong. It would be the following winter before I’d hear Back to Black in its entirety. I wouldn’t even think about her music again until she swept the Grammy Awards. After purchasing the album, I was blown away. That voice mixed with those songs came together to create an irresistible combination. She may not be anything close to a country singer, but it didn’t matter. I felt her music. Much has already, and will be, written about her inclusion into the famed “Forever 27” club – rock legends (Jim Morrison, Jimi Hendrix, Janis Joplin, and Kurt Cobain) who all died at that young age. Much will also be made about her importance in the music industry. She’ll always be included in that legendary company, but does she deserve to rank among those great artists? The short answer is really, only time will tell. Her legacy is just being mounted. It’s going to take a long time for the public to look at Winehouse solely for her music and not for the public spectacle she made of herself. Sure, her demons will always cast a shadow, but future generations will likely learn about Winehouse through her music, not her addictions. I know because that’s how I’ve grown to love Joplin, for her music. I can’t really explain why, but Back To Black is a classic. It’s an album and not just a couple singles surrounded by filler. Back To Black is her Pearl, just released during her lifetime. In way, it’s criminal to think it won every major Grammy Award except Album of the Year. I’m glad for Herbie Handcock’s River – The Join Letters, but Winehouse had the best album that year. In essence, Winehouse is the first member of this “forever 27” club I will have known during her life. I remember watching her Grammy Awards performance blown away by what I was seeing. I had to it look up the to refresh my memory, but it all came flooding back – she was denied a visa to leave the UK and had to perform in a British club. The sultry Winehouse in the smoky club had a real old-fashioned vibe to it. You kind of knew you were witnessing something special. In the years since that night, she wouldn’t release any more music, but her influence was felt far and wide. Winehouse ushered in a British-soul invasion that has captivated America. In her wake, artists like Duffy, Adele, and Estelle have all made their marks. They all had a similar sound to Winehouse, but also their own individuality. Arguably, the most successful in this post-Winehouse group is Adele, who’s sophomore album 21 and single “Rolling In The Deep” have been 2011’s biggest mainstream success stories not named Blake Shelton. I have her album as well and its fantastic. Pure talent doesn’t come along very often but Adele has it. And so did Winehouse, which is why I find it sad that it takes death to bring appreciation to talent. The whole world is saddened, yet hardly surprised, that we’ve lost another raw talent so quickly, but we’re not above revisiting her albums and taking another look at her music. When I heard about the now famous Belgrade concert last month, I kind of laughed it off as just another episode. I viewed her fumbling around on stage as just another train wreck moment and not another notch in her downfall. I’ll always think she was screwed up that night, but I never thought it was as bad as it was. In reality, I don’t think anyone did. Thankfully, though, the addictions aren’t the only reason we know Winehouse’s name. The most important part of her legacy is her music and that will always be there to draw the attention of new fans. I would like to see Winehouse remembered for her most valued asset – her voice. It was so unique and expressive. The way a white girl could sound black was just incredible. There wasn’t anyone else who sounded like her. Listening to her music was like going back in time to another era, which is why her Grammy performance worked so well. She found the perfect venue to capture the essence of her voice. Which is why it’s such a shame she couldn’t have found a way to get herself together. If we learn any lesson in her death, it’s to make sure we tell those around us how much we value them. That little compliment may make all the difference because all we really want to know is that we matter. In honor of Amy Winehouse, lets go Back To Black. My lack in recent updates is partly do to an exciting opportunity I accepted over a month ago. I’m now a staff writer for My Kind of Country, a popular country music blog. That doesn’t mean this blog is going anywhere, it’s just an extension of my love for country music. I can’t believe how much I’ve already written. Six already?! I have many more in the pipe line, and as I write them, I’ll link them to my blog so they’ll be easy to find in one place. Thanks again to J.R. Journey for inviting me to blog about my favorite subject to a much wider audience. In the coming months, I’m looking forward to seeing where it takes me. Now I just have to find the balance to write my own blog along with all the MKoC work I do. That shouldn’t be too hard.